As the Purdue Research Foundation’s Vice President for the Office of Technology Commercialization, Chad Pittman oversees the protection of Purdue University’s intellectual property and translation of innovations originating from Purdue research. In his current capacity, he manages the development and implementation of strategies to commercialize Purdue technologies and serves as an engagement leader to the business community. 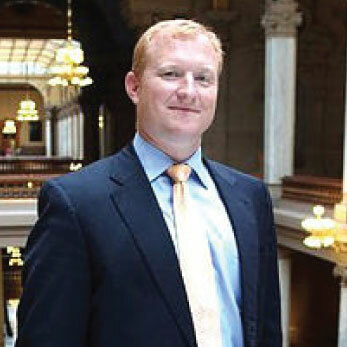 Previously, Pittman was the Chief of Staff and Executive Vice President for the Indiana Economic Development Corporation (IEDC), which is the state’s leading economic development agency. In his five years with the IEDC, Pittman recruited nearly 1,000 companies to Indiana that resulted in a projected 101,000 new jobs and brought $16 billion in capital investment to the state. He also has represented Indiana in hundreds of high-profile negotiations, including the Chrysler Group LLC expansion investment by that brought $1.5 billion to Indiana, the CityWay project in downtown Indianapolis, and the Rolls-Royce engineering consolidation that brought a $22 million facility to Indianapolis. While serving in active duty for the U.S. Army, Pittman was a company commander in Operation Iraqi Freeman where he served two tours of duty in Iraq and earned a Bronze Star. He continues to serve as a major in the U.S. Army Reserves. Before his deployment, Pittman worked as a corporate land developer with an Indianapolis-based homebuilding company. There he held roles including Corporate Director of New Markets and Land Development from 2005 to 2007 and Director of Government Affairs from 2004 and 2005. Previously, Pittman was an attorney with Bose, McKinney and Evans LLP, and Vice President of Finance for an Indianapolis-based startup. Pittman is a graduate of the Indiana University School of Law in Indianapolis and holds a Bachelor of Science in Business from Indiana University. He also attended the U.S. Military Academy in West Point, N.Y. 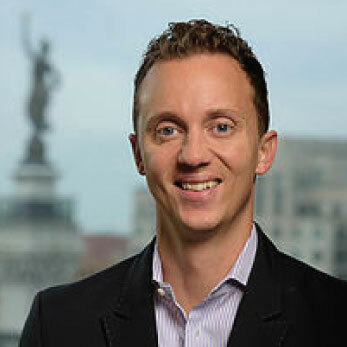 He was named to the Indianapolis Business Journal’s 2013 class of Forty Under 40, and he is a recipient of the Governor’s Distinguished Service Award, which was bestowed by then-Gov. Mitch Daniels. Pittman and his wife, Cristi, reside in Zionsville, Ind. with their four children. David Roberts serves as the Chief Innovation Officer of the State of Indiana at the Indiana Economic Development Corporation (IEDC). He previously served as President of the Battery Innovation Center, a public-private partnership working with diverse organizations to develop next generation energy storage technologies. 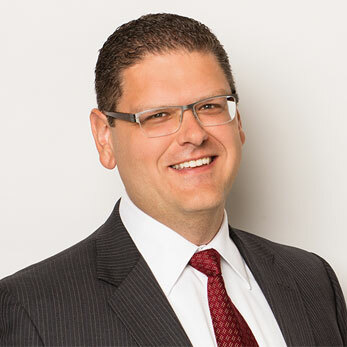 He also held a variety of roles, including CEO of EnerDel, legal counsel for Caterpillar, engineer with Lockheed Martin, board member of various domestic and international organizations, and is a patent & business attorney with Gutwein Law. David was an honors student at the Indiana University Robert H. McKinney School of Law, where he served on the Indiana Law Review. Prior to law school he received his Bachelor’s degree in Materials Science & Engineering from Lehigh University. He is currently licensed to practice in Indiana, Illinois, Missouri and before the U.S. Patent and Trademark Office. In addition, David was sought out by a premiere energy industry publication for a feature article on his impressions of the energy industry, leading to their designation as “The Energy Attorney” by Batteries International. Paul J. Mitchell is President and CEO of Energy Systems Network (ESN), a consortium of companies and institutions focused on the development of Indiana’s energy technology “cleantech” sector. ESN provides project development and coordination for joint ventures and cooperative partnerships between network members who are seeking to commercialize new energy technologies in a diversity of cleantech markets including advanced technology vehicles, distributed power generation, advanced biofuels, renewable energy, and energy efficiency. ESN member companies/institutions include, among others: Duke Energy, IBM, Cummins, Delphi, Allison Transmission, Navistar, Nissan, Smart, THINK, Remy, ITOCHU, SAIC, Rolls Royce, BAE, Indianapolis Power & Light, Simon Property Group, I-Power, Brevini, EnerDel, GridPoint, Bright Automotive, Midwest ISO, PJM, Rocky Mountain Institute, Purdue University, University of Notre Dame, Ivy Tech Community College, and Naval Surface Warfare Center Crane. Prior to joining ESN, Mr. Mitchell served in the Office of Governor Mitch Daniels where he was Policy Director for Economic Development, Workforce, & Energy. In this capacity he oversaw legislation, policy, and program development for the Indiana Economic Development Corporation, Indiana Department of Workforce Development, and Indiana Department of Labor, and acted as Governor’s liaison to the Indiana Utility Regulatory Commission and Office of Utility Consumer Counselor. During his tenure with the Governor’s Office, Mr. Mitchell also led the formation of and directed the Indiana Office of Federal Grants and Procurement. A native of West Lafayette, Indiana he holds a Masters of Public Affairs from the Indiana University School of Public and Environmental Affairs in Bloomington, Indiana where he graduated as valedictorian. Mr. Brad Ellsworth is the Radius Indiana representative serving on the BIC Board of Directors. Mr. Ellsworth is an executive with Vectren Corporation since May 1, 2011, now serving as President of Vectren Energy Delivery of Indiana – South and having previously served as its President of Vectren Energy Delivery of Indiana – North. Prior to joining Vectren, he spent nearly three decades in public service. His law enforcement career spans 24 years, where he ultimately was elected sheriff of Vanderburgh County. 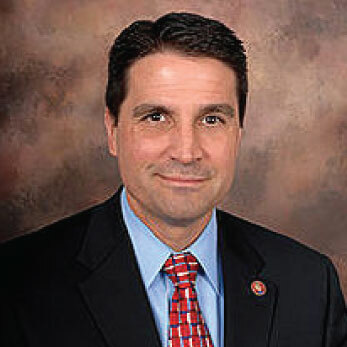 As a two-term U.S. congressman from 2007 – 2011, he represented the people of Indiana’s 8th congressional district in the United States House of Representatives.